LINDA DEPALMA is a sculptor, paper weaving artist and educator. 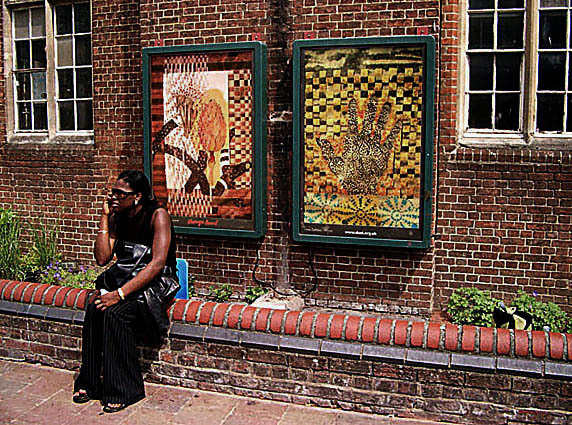 She has been awarded several public art commissions in Baltimore and the surrounding region. She has received honors for her sculpture, among them an NEA Fellowship Grant and a Mid-Atlantic Arts Consortium Grant. Exhibition venues include The Baltimore Museum of Art, Hand Workshop in Richmond, VA, and Oxford, England’s Message Board. Temporary outdoor installations were installed at the Maryland Historical Society and Staten Island’s Snug Harbor Cultural Center.